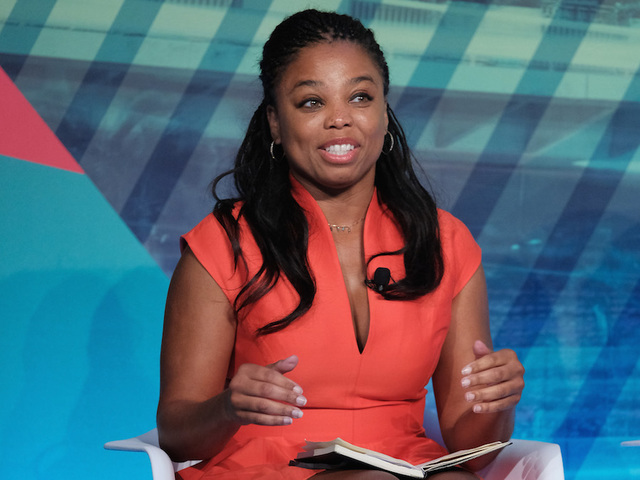 ESPN host Jemele Hill labels Donald Trump a "white supremacist who has largely surrounded himself [with] other white supremacists." She continues with her next tweet, "Trump is the most ignorant, offensive president of my lifetime. His rise is a direct result of white supremacy. Period." First, Donald Trump's "rise" has far more to do with the real state of the American economy and the shift of the minority vote, a category that Barack Obama previously dominated in addition to that of civilian casualties by way of drone strikes, something the majority would surely describe as offensive. Voters effectively expressed their preference for a non-establishment candidate by supporting Trump over Clinton. White supremacy was hardly even a subject under consideration at the time of the election. Suddenly, after a number of violent episodes between two wildly-abrasive and contentious groups who have far more in common than they would readily acknowledge, mainstream media has inundated their audiences, and clearly even their own staff, to accept that the actions of these few are somehow representative of a sociological shift and a new cultural zeitgeist. As it turns out, both Antifa and the Neo-Nazi camp endorse the mechanism of government as the principal tool of righteousness, merely differing on how that tool ought to be exercised, and to what extent. The relative palatability of the one over the other seems to spawn from the shortsighted, and often unstated, operating assumption that white people exclusively, and without exception, benefit directly from the transgressions of historical figures of identical complexion. As it turns out, a majority of those white people are descendants of late-19th century, early-20th century immigrants who bore no involvement in the repugnant practices of their predecessors. Ultimately, a burgeoning segment of civilization has broadly committed to an endless discovery of fault with anyone whose ideological composition, or apparently physical complexion, stands at odds against the prevailing wisdom of unquestioning political correctness. There is seemingly always someone else to blame for one's shortcomings, and if Donald Trump has indeed "risen" to any position of rank, it is incontrovertibly that of icon to those who prefer to mourn their misfortunes and worship their perceived, often imaginary, oppressors instead of taking personal responsibility over their own lives. This ongoing bout appears only to support the notion that it is far easier to hate than to understand. And in the world of entertainment, one of the two is far more powerful and appealing to the masses who prefer the comforts of emotion over the complexities of thought.